We live in an increasingly post-denominational world. Independent churches and loosely affiliated networks abound. 'Surely that's the way of the future', it might seem. But, there is one argument that can turn our attention away from what seems to be in vogue: the New Testament demonstrates a church government that doesn't stop at the doors of the local church. One way in which the New Testament shows church government going beyond the local is in the concept of Council. The word Council isn't actually used, but the concept is certainly there. The major biblical example of Council, is the Jerusalem Council of Acts 15. The Jerusalem Council was held to decide upon an important matter of doctrine. Yet the actual manner of the convening of the Council is worth noting. Paul and Barnabas didn’t go up to Jerusalem for Council because it was May. (We don’t know what month it was.) They went up because there was a matter to be resolved. There was a major problem to be settled in the life of the church, and the response was to send up the local apostles to meet with the rest of the apostleship in order to resolve the matter. It was recognised that this wasn't something that could be decided locally; it was a matter of doctrine, of the one faith, and so any decision had to be made for the whole church. So it was necessary for a central decision to be made. In fact the decision made at the Jerusalem Council didn’t only relate to doctrine, but also to the direction of the Church’s mission. (The two have a tendency to go hand in hand.) Again, this was an important matter to decide centrally, for it wasn’t about the outreach strategy of a local assembly, but rather, about the direction the outreach of the whole Church was going to take. So there is a biblical model for Council to make decisions relating both to doctrine and mission. However, the Jerusalem Council is not the only biblical model that applies to our Council. 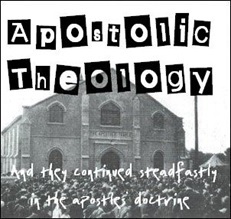 Acts 13:1-3 has always been a popular passage in Apostolic ecclesiology. When we consider this verse it’s normally to show a biblical example of calls coming through the prophet. Yet, these verses also give us an example of a Council: it was a gathering made up of Ascension Ministers. There’s no reason given for this Council; no important decision to be made like at the later Jerusalem Council. All we are told is that they ‘were worshipping the Lord and fasting’ (v.2). It seems the purpose of their gathering was to seek God and His direction. And the result of that Council was two men called to the apostleship and a major turning point in the outreach of the Church (not just the local assembly). A final biblical model concerning Council is found in the book of Galatians. In Galatians 2:1-10 Paul recounts a visit he made to the apostles in Jerusalem which isn’t recorded in the book of Acts. On this trip the apostles in Jerusalem ‘perceived the grace that had been given to [Paul]’ and gave both him and Barnabas ‘the right hand of fellowship’ (v.9). Paul isn’t writing here about becoming a member of the church (this is ‘after fourteen years’, v.1), but about the recognition of his and Barnabas’ ministry by the apostleship. What ministry is being recognised? Verse 8 shows that this is the recognition of Paul and Barnabas’ apostleship. 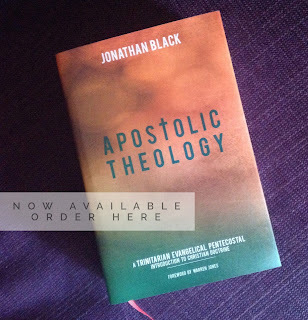 So, it would seem that Paul and Barnabas were called as apostles through a prophet in Antioch. As at this stage in the history of the church there weren’t yet any apostles outside of Jerusalem, they were ordained by the Ascension Ministers who were there (the prophets and teachers), yet the newly called apostles still travelled to Jerusalem at the first opportunity to receive recognition of their ministry by the Church from the apostleship. So what does this meeting in Galatians 2 teach us about Council? Well, it shows that Council, or a group of apostles delegated by Council (in that context James, Peter and John; in our context perhaps MAB or the NLT), can recognise calls to ministries. So to conclude our consideration of Council, the Biblical models for Council show its role in doctrinal decisions, direction in mission, seeking God and His direction, calls to Ascension ministries, major changes, and recognition of calls which came elsewhere. Do Benedict and Rowan have a point?